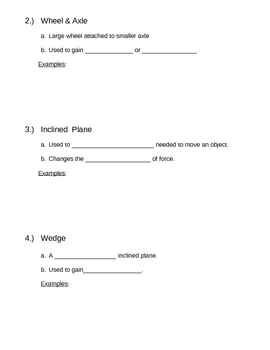 Five page, will in the blank notes on simple machines. Goes over all the simple machines. 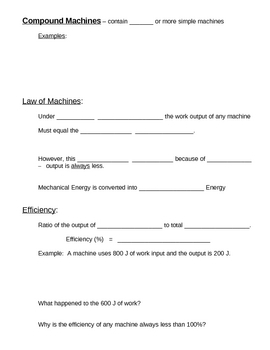 Covers work, energy, efficiency and law of machines.